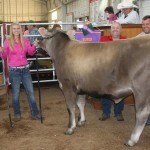 Brooke Hayhurst's 1,330-pound champion steer sold for $4.75 per pound to Dianna Hatfield, for HAD Drilling Construction. 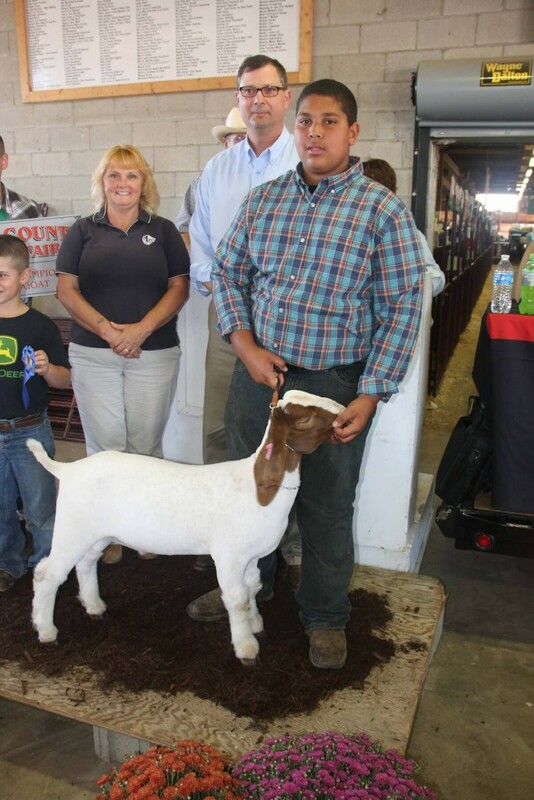 Also pictured is Kyle Piscione. 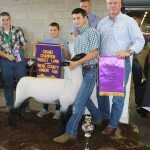 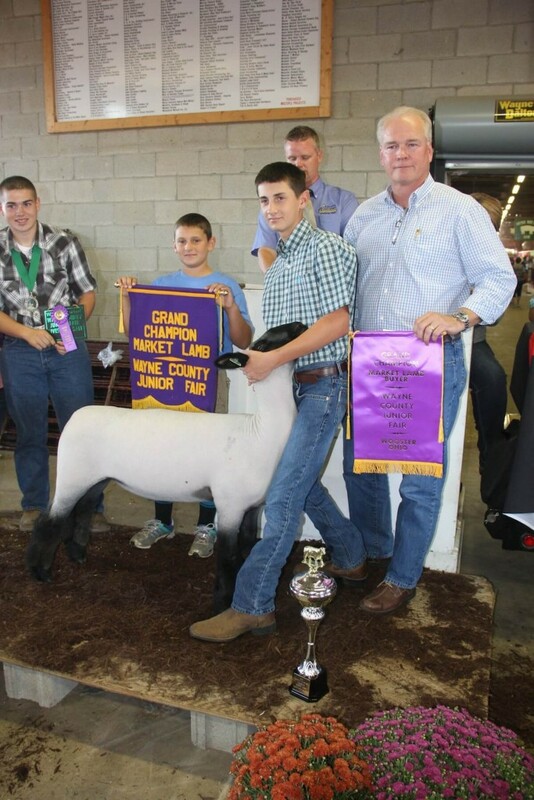 Garrett Gwin's 146-pound champion market lamb sold for $20 per pound to Campbell Oil Bell Stores. 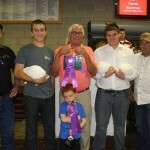 Also pictured is Brian Burrows, Campbell Oil Bell Stores, Bennett Gwin and Dylan Noble. 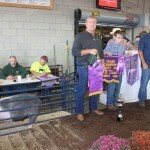 Kyler Graber's 271-pound reserve champion market hog was purchased by Leon Hilty of 3-D Meats, Royce Yoder for White-Maibach Ford, Jed Sprunger of the Kidron Auction, Steve Andrews of Andrews Auction Service, Tom Stocksdale of Farmers National Bank, Producers Livestock Auction, Air Works, Jeff Wiles Realty, and Martin Yoder Livestock, for $22 per pound. 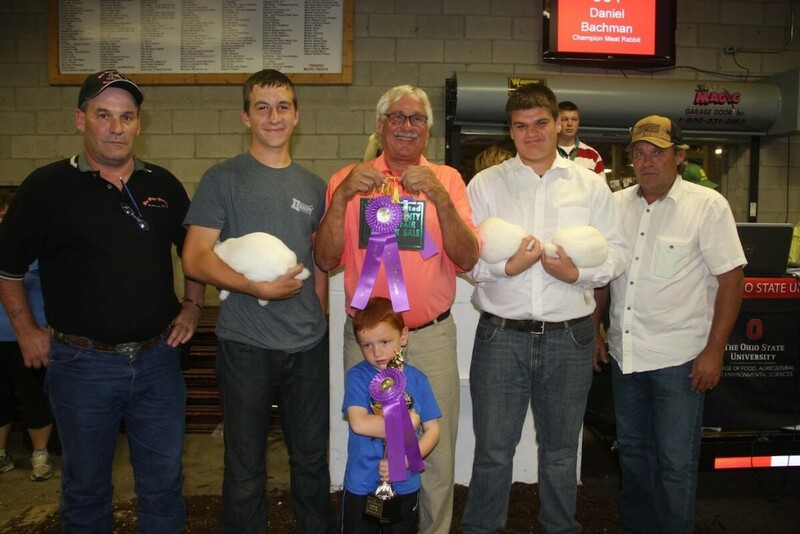 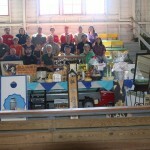 With no live birds exhibited at the fair this year, junior fair poultry exhibitors divided the proceeds from the sale of 24 baskets, for a total of $7,375. 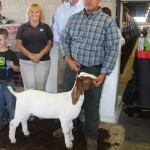 Mark Bachman's reserve champion pen of rabbits was purchased by Ron Burge Trucking and Santmyer Oil for $2,100. 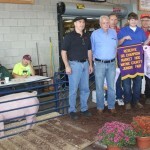 Also pictured are Scott Burge, Terry Santmyer, Mike Burge, Ben Bachman and Michael Garrison. 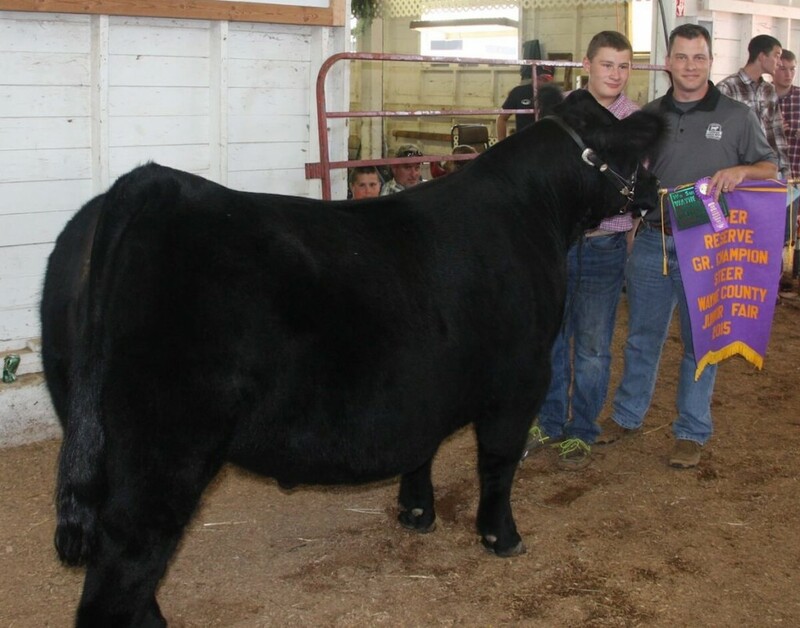 Tanner Wirth's 937-pound champion carcass steer was purchased for $4.75 per pound by Jason Carrick, for Everything Surplus and The Clothing Warehouse. 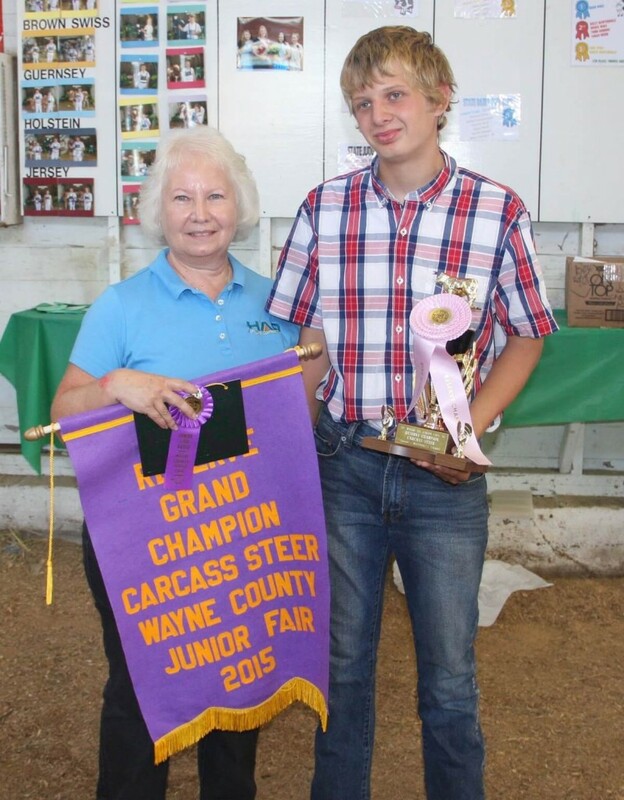 Shad Swinehart's 846-pound reserve champion carcass was purchased for $5.25 per pound by HAD Drilling, represented by Diana Hatfield. 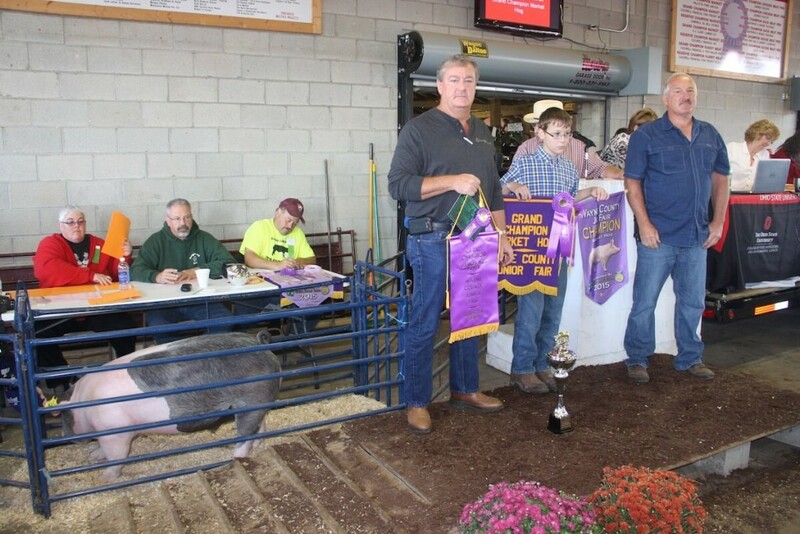 Krystian Graber's 262-pound champion market hog was purchased by Steve Nolletti and Ken Weaver, of Capstone Homes, for $22 per pound. 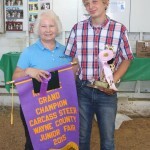 Macey Belmont's 83-pound champion market goat sold for $8 a pound to Jason Carrick, for Everything Surplus and Clothing Warehouse. 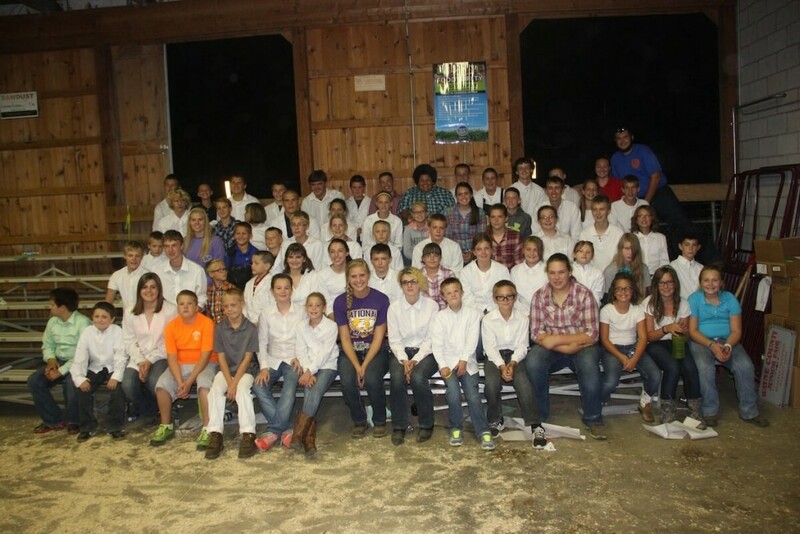 Also pictured are Dylan Noble, king, and Hannah Miller, queen. 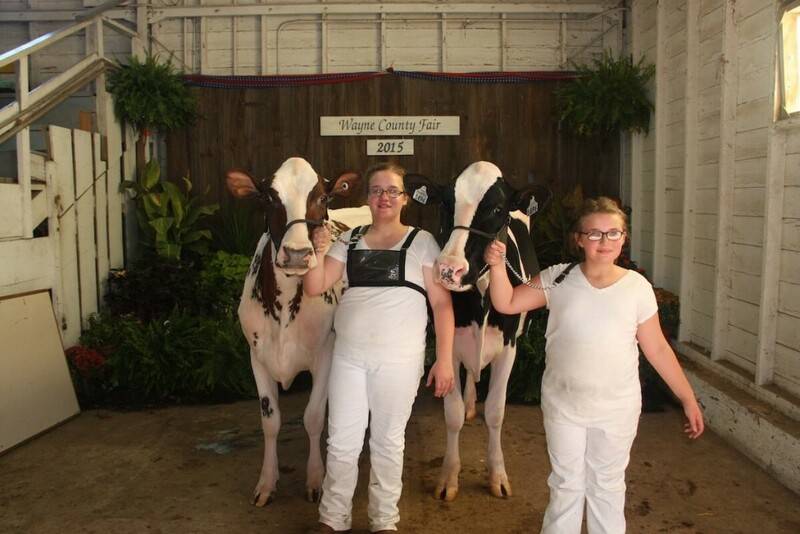 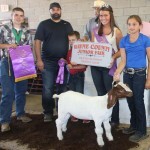 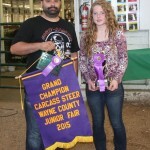 The 2015 Wayne County dairy products auction proceeds totaled $31,625, which will be divided among junior fair dairy exhibitors. 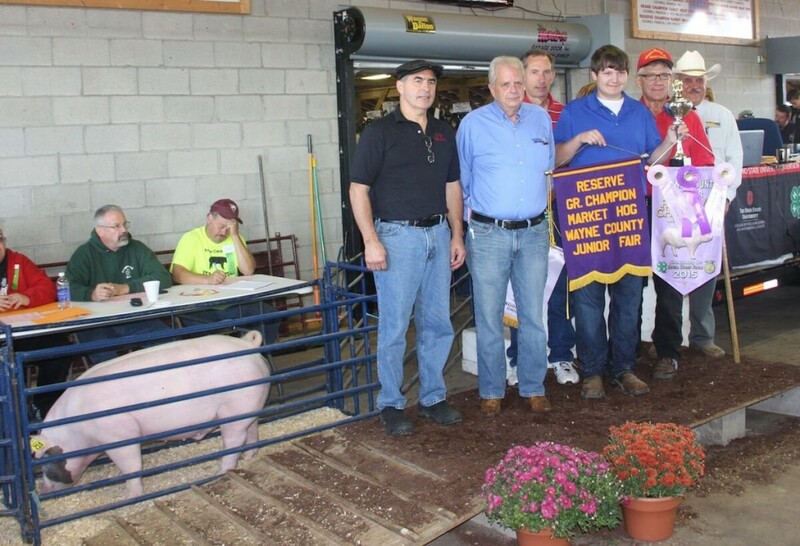 Daniel Bachman's champion pen of rabbits was purchased by Ron Burge Trucking and Santmyer Oil for $2,200. 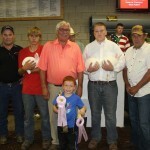 Pictured are Scott Burge, Tyler Harley, Terry Santmyer and Michael Garrison. 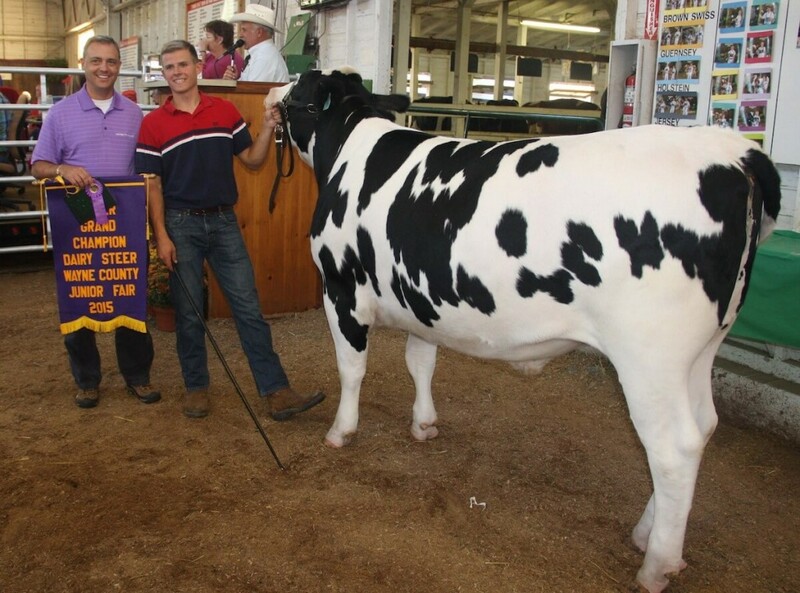 Macy Payne's 1,355-pound reserve champion dairy steer was purchased for $3.75 per pound by CRW Freight Management, represented by Ken and Chris Wood. 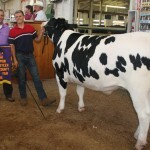 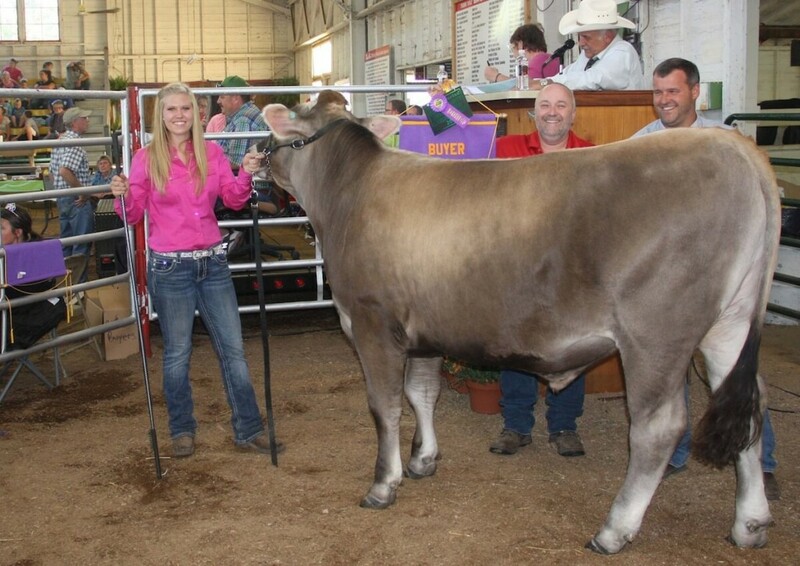 Jake Shoup's 1,570-pound champion dairy steer was purchased for $7 per pound by Don Noble, for United Titanium. 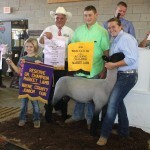 Brooke Hayhurst's reserve champion market lamb sold for $13.50 per pound to Franklin Equipment, represented by Steve Andrews. 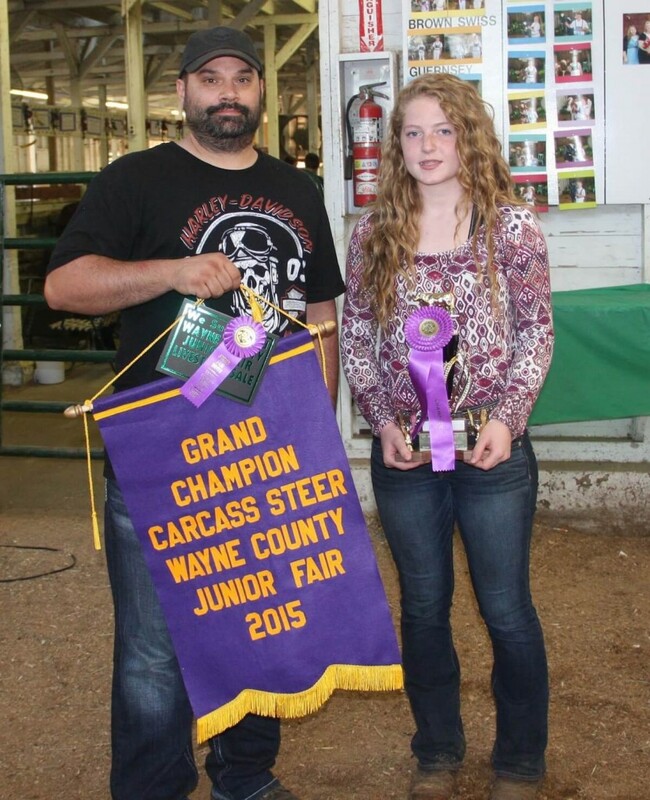 Also pictured are Kyle Piscione and Brynn Shearer. 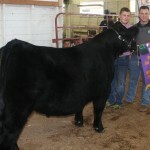 Kyle Piscione's 1,345-pound reserve champion steer sold for $3 a pound to Certified Angus Beef, represented by Clint Walenciak. Owen Stoudmire's 92-pound reserve champion market goat sold for $6.50 per pound to Western Reserve Insurance Group. 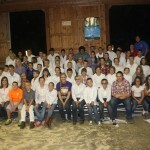 Also pictured are Joe Slater and Patty Roberts. 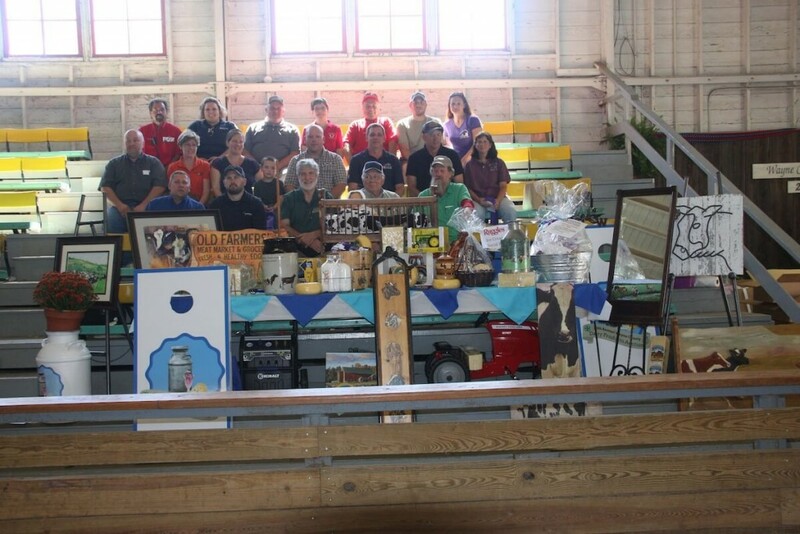 Buyer: 3-D Meats, White-Maibach Ford, Kidron Auction, Andrews Auction Service, Farmers National Bank, Martin Yoder Livestock, Jeff Wiles Realty, Air Works, and Creston Producers Livestock Auction. 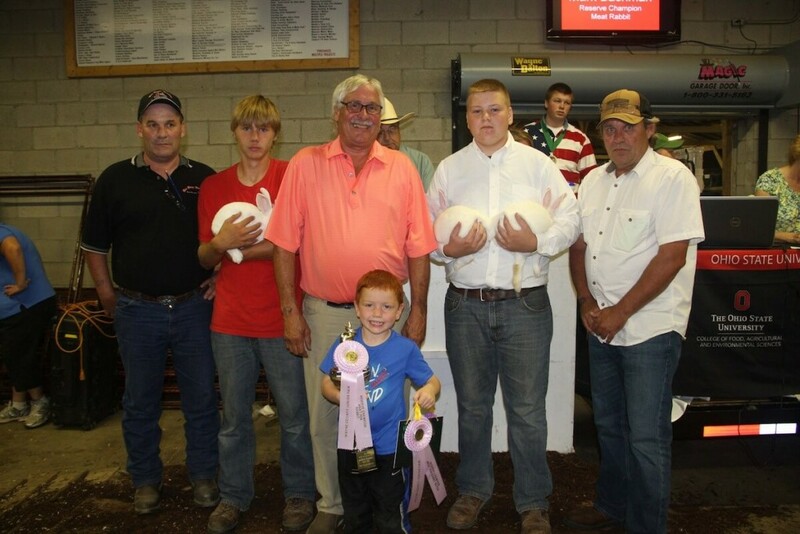 Auctioneers: Dave Acker, Steve and Seth Andrews, Bob Graber, Jake Gasser and Nick DeFelice. 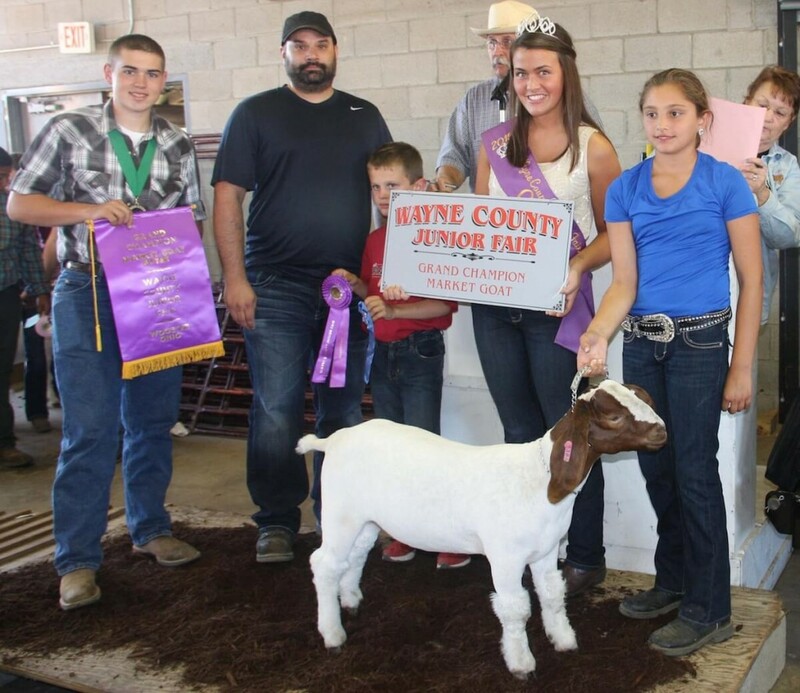 Royalty: Queen, Hannah Miller; king, Dylan Noble; princess, Victoria Devore; prince, Zach Donley. 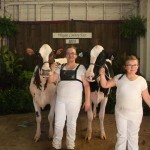 Previous articleCan you find a new farm owner who is not a family member?